First thing first, when it comes to essay writing, there could potentially be 700 deadly sins. However, space and time constraints dictate that I resist the perennial, evil temptation of writing another long-winded piece and confine myself to the top seven that lead the line-up. These seven mistakes feature routinely in majority of the essays that I assess, and often a single essay contains all of them in varying degrees. So here I go with the seven deadlies in no particular order of frequency or seriousness. This one is a two-faced devil and both equally ugly. The first is a deliberate misdirection because the writer has little information on the topic given. Therefore the writer chooses to write on the topic which is the ‘nearest’ in the hope that the panel will be impressed by the writer’s smart doggedness. This is based on a prevailing assumption that a white paper with some black on it looks better than a pristine white. It really doesn’t. At best, it will be seen as evasion. At worst, it raises serious questions on the writer’s comprehension. The primary cause of this is a lack of information on or general awareness of pretty much anything beyond the limited periphery of one’s tiny existence. The second type is an unwitting kind of deviation. Here, the writer may start off with some understanding of the topic, but in the zeal or stress (or both) of writing, the writer may begin to unconsciously deviate from the topic. Years ago, the XAT had an essay topic: “Gender Imbalance Will Lead to a Third World War”. I have lost the count of how many essays on this topic turned into ‘Why Indian women are Dominated by Indian Men” half way through the writing. This usually happens because the essay has not been planned properly, and also because the writer has allowed personal bias and opinions influence analysis. This also has the same two faces: witting and unwitting. Both, however, arise from the same problem: lack of content and analysis. The witting party knows that they are repeating the content, and therefore try to disguise it by using multiple examples to prove the same point. A skilled reader instantly sees through this deception. The unwitting party on the other hand does not even realise what they are doing till it is done. Their essays contain often the same (or synonymous) words and lines and thoughts, and even pleonasms (for example, wrong mistake, or recent history). The essays of both the parties could effectively be over within a few lines, but they realise the need to make it look ‘long’ in order to score some points. What a universe only six words can create! It is possible that one has come across a few ‘big’ words somewhere, and is therefore itching to use them in order to establish his or her erudition. It is equally likely that the person has not really bothered to study those words (or other words) deeply, and thinks that the mere mention of them will go some way in impressing the reader. The more conceited may even assume that the panel may not actually know the meaning of the words, and therefore be in awe of the writer. In essay writing there is no such thing as ‘big’ words and ‘ordinary’ words. There are the words that are appropriate to your thoughts and there are those that are not. The best of the essays are always the simplest and clearest in their expression. There are no extra marks for ‘hi-fi’ words, as WAT is primarily a test of analysis and reasoning. And always remember, the reader (in our case the panel) is always smarter than you. The sentence length is an important issue in ensuring the simplicity of expression. In this regard, the WAT takers can generally be divided into two categories: those who feel that they are inferior, and those who feel the opposite. The former will always write essays with ‘safe’ sentences – small, similarly-structured simple or compound sentences. While this may ensure the ‘safety’ of expression, it robs the essay of variety and makes the reading boring. The latter is a different kind of animal. This lot may be better read than the former, and therefore consider themselves superior to others. They will always tend to write long, complex, verbose sentences – some times in the Shakespearean style, sans the wit. Their essays merit inclusion in the syllabi of the most rigorous of the cryptography courses. You may read their essays any number of times, even by turning the paper upside down or sideways, but I wager you will never be able to get the slightest hint of what they actually wanted to say. Here is an experiment. Can you understand what the following words mean? I have experienced in the deepest recesses of my myocardium an unflinching adulation for the inamorata, which is the kindest and gentlest self that inhabits your corpus, such adulation as, which insofar as my intellect sanctions me to fathom, can, in my humblest estimation, only be sensed but for a solitary individual in the fullness of the continuance of one’s time, as established beyond the shadow of a doubt on the basis of an agreement ab antiquo. Imagine spending a day with this person, let alone the rest of your life! A good essay demonstrates a good variety of all three kinds of sentences – simple, compound and complex – used appropriately to do justice to the varied thoughts they intend to communicate. When in doubt follow the thumb rule: a short sentence is better because at least it gets over quickly! Elementary as it may be, this advice is ignored by a sizable WAT takers once they get absorbed in the task of writing. While it is true that if you are a great essayist and if you choose to write an essay without paragraphing it, you may still be able to produce a masterpiece. But if you are the opposite of a great essayist, you ‘un-paragraphed’ essay will also be the opposite of a masterpiece. 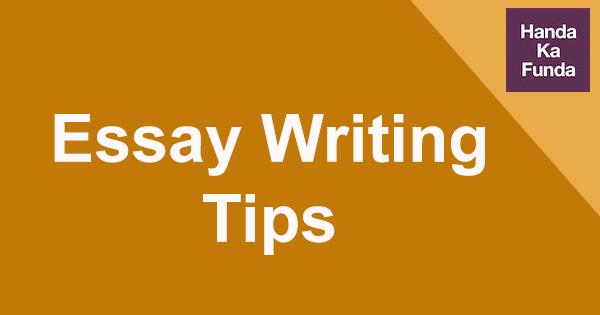 Your best chance lies in dividing the essay appropriately so as to make the reader’s navigation easier. The essay may already contain potholes the size of moon craters. The least the writer can do is clear the traffic a bit. This could range from informal words to downright abuses and cuss words, from an exclamation mark used thrice together to smilies (yes, I have read essays with smilies). I have seen them all. Please understand this clearly. The WAT essays are (beyond the shadow of a doubt!) formal essays. We therefore must follow the norms of formal writing and punctuation. For example, “I don’t like it” needs to be replaced by “I disapprove of it”, just as “I am gonna” needs to be changed to “I am going to”. When you proofread your essay, look for such contractions, and also spelling mistakes. Spelling mistakes may be tolerated depending on their number. A few slips, which could be unsystematic errors, will be tolerated and forgotten if the reasoning of the writer is sound. However if there are so many spelling mistakes and such serious ones that they inhibit the reader’s comprehension, then that creates an overall impression of negativity. The essay topic was: Great Leaders are Not Born. They are Made. As I was reading the responses, one caught my attention. The writer appeared to be a reasonably-informed individual, who put forward the thesis statement that the kind of life one leads is what propels him to be a great leader. Sounds alright, does it not? It sounded alright to me too, till I hit the case he had used to support his standpoint. He cited the example of the leader of the world’s (currently) deadliest extremist organisation, the leader whose position atop the most-wanted lists of a number of countries is firmly entrenched. And the essay went on like this: If leadership means rebelling against all odds and rising above them, then XXXX is a great leader! If leadership means fearlessly taking on all those who doubt you, then….If leadership means standing up for your beliefs, then…. And so on. After surviving something that felt like a momentary myocardial infarction, I invited him for a discussion and asked point-blankly (in a manner of speaking!) if he really believed in what he so zealously wrote. To my amazement, he replied equally point-blankly and said no. “So why on earth did you write this? Have you any idea that this is the sort of stuff that lands people into trouble? More specifically a trouble that exists near the south of Cuba, you muppet! That day a man in grey was seen jumping from the 10th floor of the building. Too bad he did not have the accomplices of the likes of Molly and Mycroft. Thoroughly enjoyed. The above article seems to be an essay in itself. Relevant with facts. A standing ovation for the puns and satire of the writer. I had to scramble for my dictionary for the word ‘myocardial infarction’….thought it to be the baby of the great “Shashi Tharoor”. Jokes apart an excellent piece of writing!